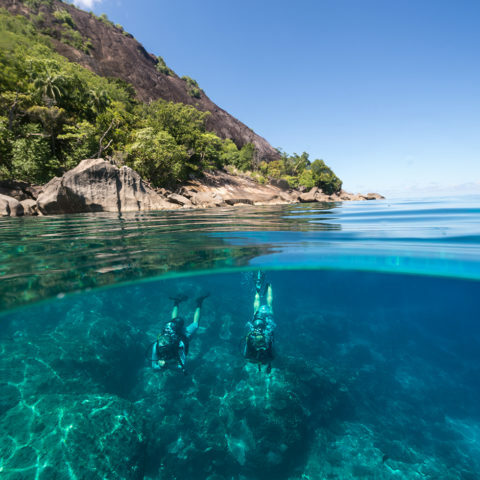 North Island’s vision is a declared Ecological Marine Reserve, further protecting the area from fishing and potentially harmful marine activities. 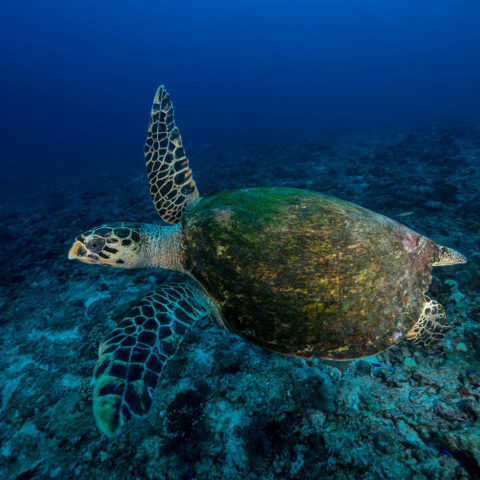 The island’s Marine Protected Area proposal is supported by data collection by means of biannual scientific marine surveys conducted by trained marine biologists since 2011. The surveys quantify the diversity and abundance of the reef fish, hard and soft corals, marine invertebrates and predatory species. 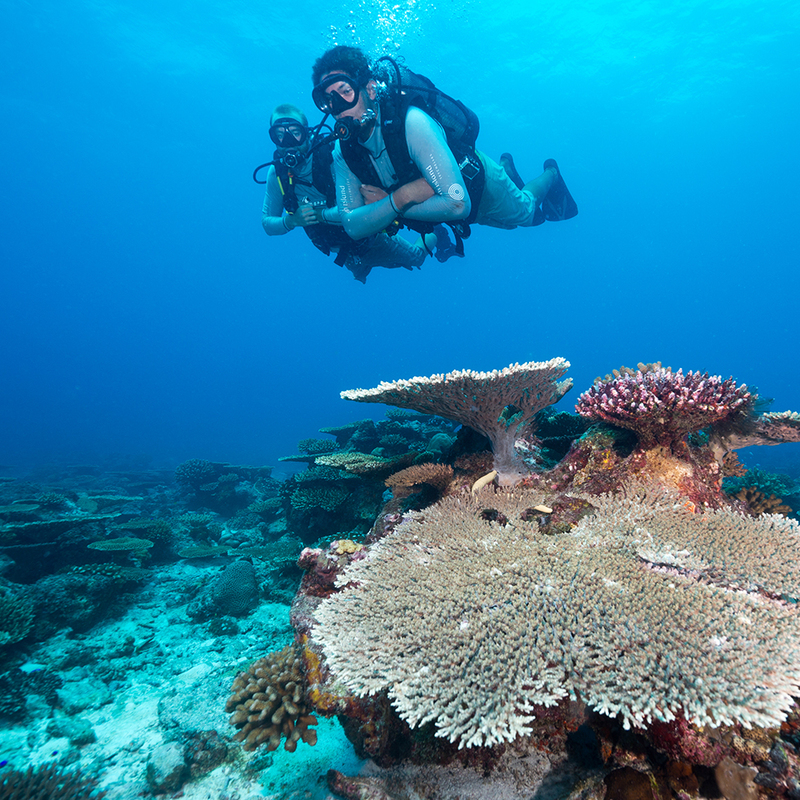 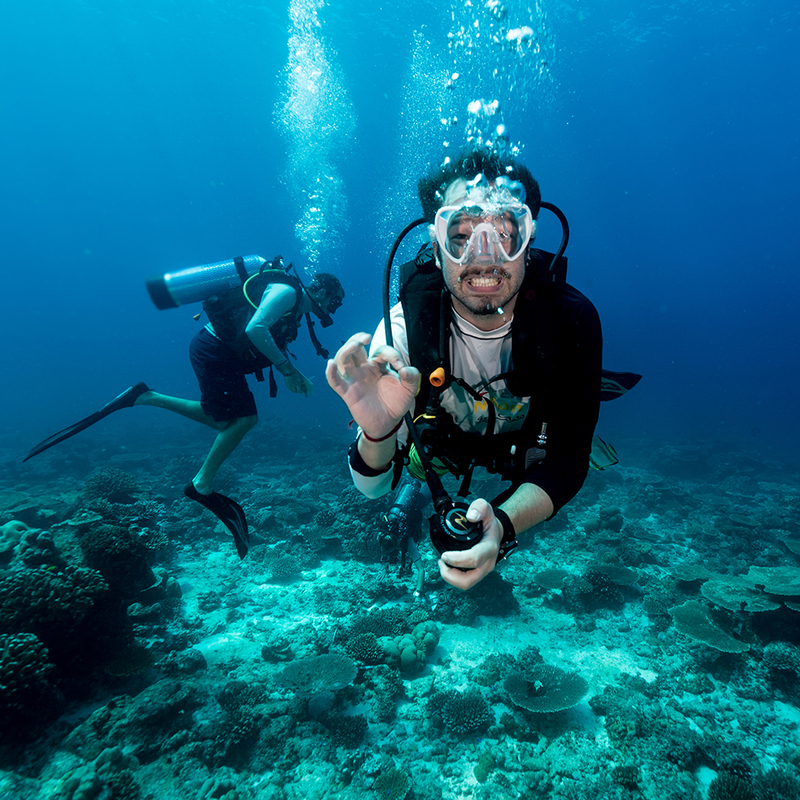 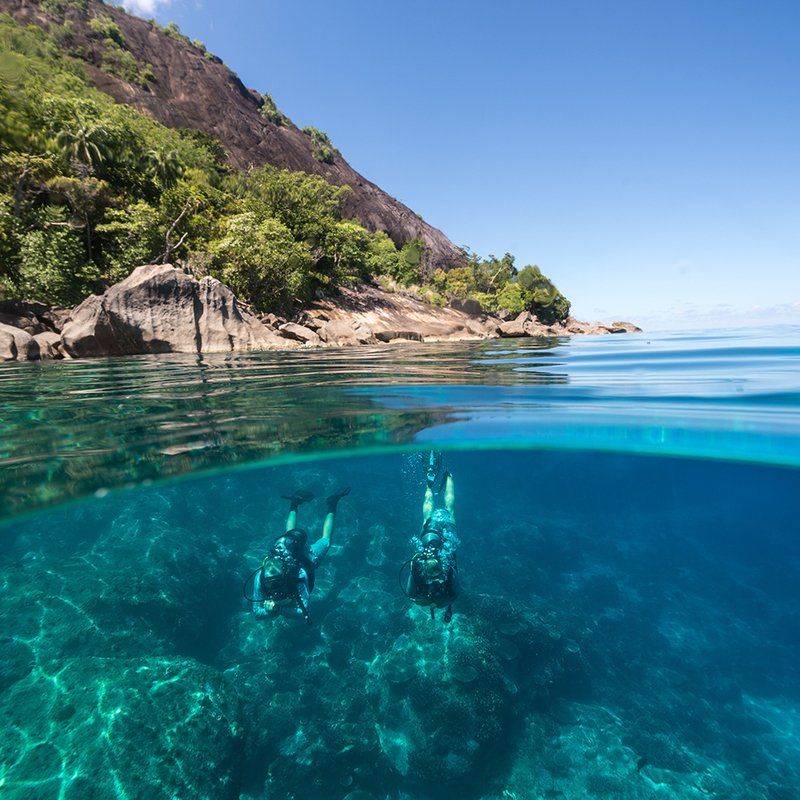 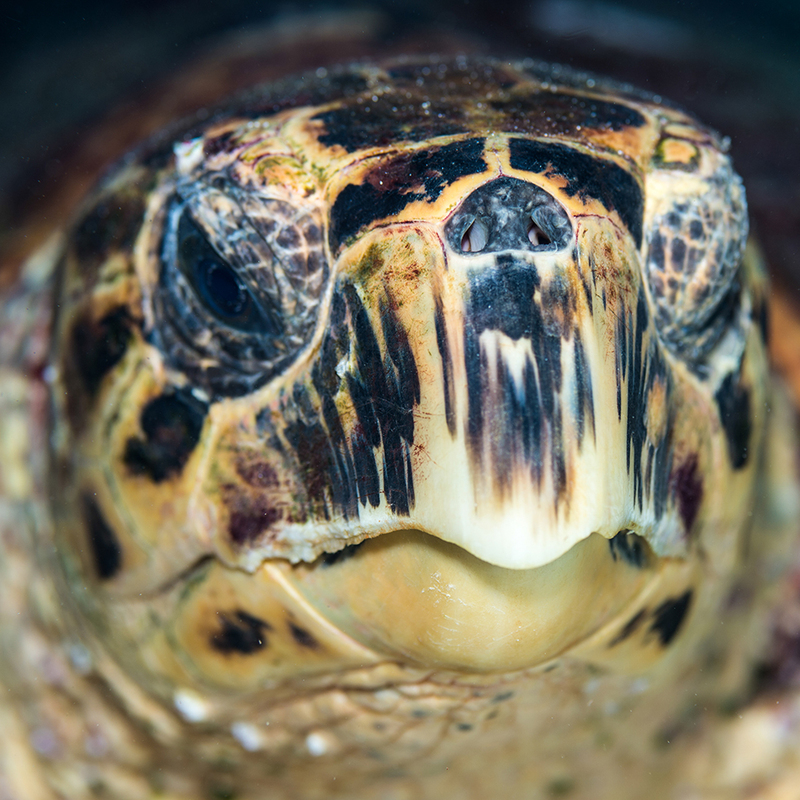 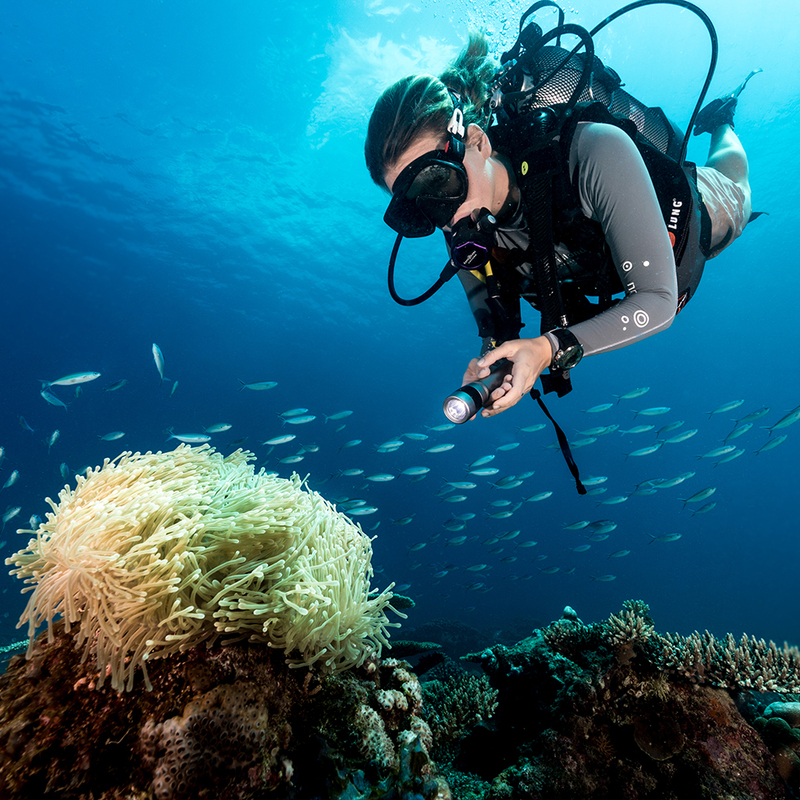 This is supported by continuous reef monitoring carried out by our resident Environmentalists and ecotourism volunteers on a daily basis, as well as by the Dive Centre and guests who wish to get involved. North Island site-specific fish identification slates are used on dives and snorkels, enabling key species to be identified and additional data to be compiled and monitored. 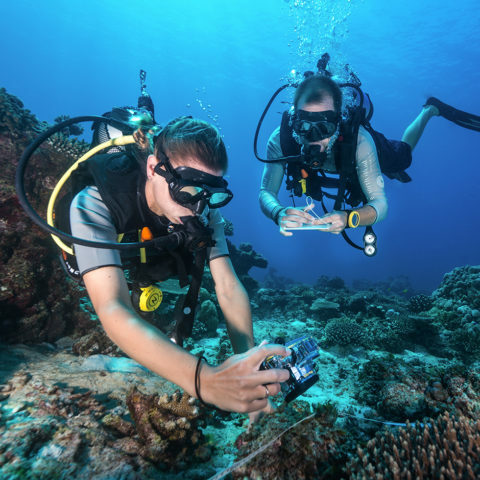 North Island has also recently purchased our own BRUVs (baited remote underwater videos) which help in closely monitoring predatory species – which come in all shapes and sizes, from sharks to groupers and octopus. 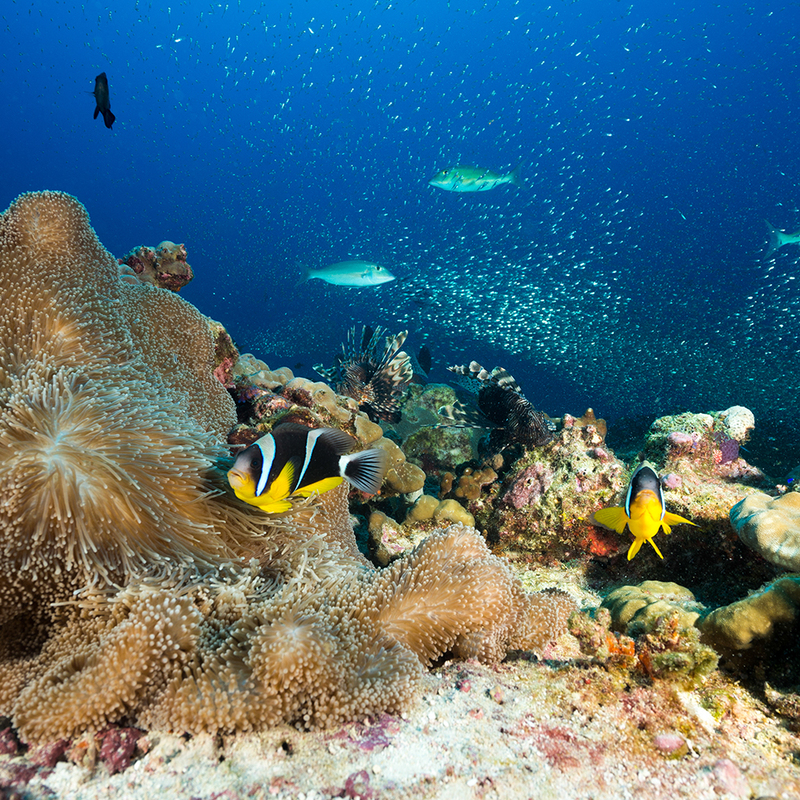 A healthy and diverse predatory guild is an indication of a healthy reef ecosystem.